I’m one of those odd people who looks forward to seeing what came in the mail each day because you never know what you’re going to get when you open that mailbox. We rarely get bills in the mail because my husband has all of that set up electronically so that only leaves the fun stuff to show up… like my monthly Birchbox, random things I’ve ordered online, and once in a while a fun letter or card. The latter is always unexpected and more welcome than anything else. 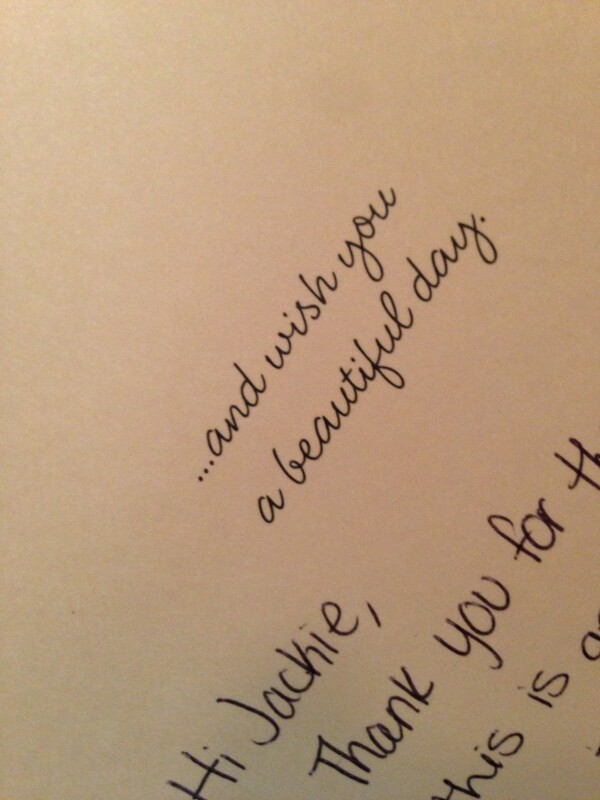 There is something special about getting a little note in the mail from someone. It puts a smile on my face and brightens my day and I hope that when I send one that it does the same for them. Physical mail is so much more than what an email could ever hope to be… when you take the time to find someone a special card or just write them a little note it shows that you were really thinking of them. I joined up with some lovely ladies for the Karing Card Club where each month there is a theme and you’re paired up with another blogger and you send cards to one another based on that theme. In April, the theme was happiness. 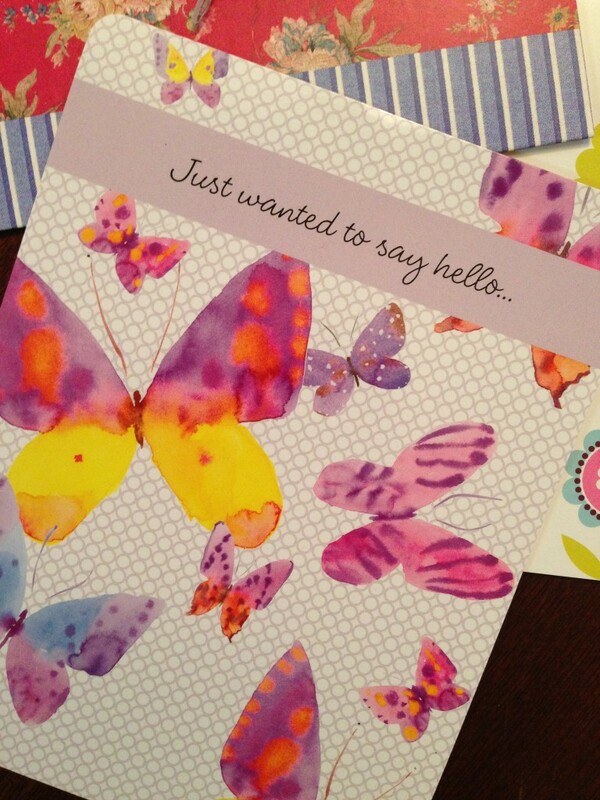 I had the perfect card lined up for happiness too thanks to the Hallmark Get Carded challenge. With the Hallmark Get Carded challenge I sent a card a day to 7 lucky people in hopes that I would brighten their day and put a smile on their face. And you know what… it worked! The feedback that I got from my friends was great! They never expected the card that they got and the note that I wrote made them laugh, giggle, and smile at the end of a busy day. I’ll let you in on a little secret… I have cards put away in a box from my childhood. They’re birthday cards, Halloween cards, Thanksgiving cards, and cards for all sorts of reasons from my family. Each and every one of them holds a special place in my heart. 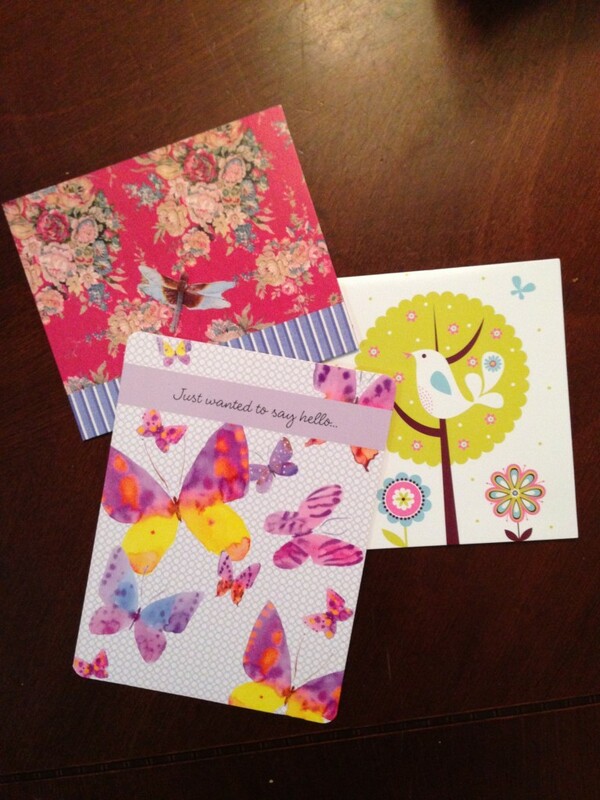 You can take part in both the Hallmark Get Carded Challenge AND the Karing Card Club! May’s theme is Friendship. To participate in the card exchange, click here and fill out the form by May 17th and encourage your friends to join in the fun and spread the word using the #karecard when using Twitter. You can use the discount code BLOG30 to buy cards for 30 % off on Hallmark.com throughout the year to help spread some smiles! I was provided a great assortment of cards & stamps by Hallmark to take part in the Get Carded Challenge but all thoughts, opinions, and crazy mail checking is all mine.